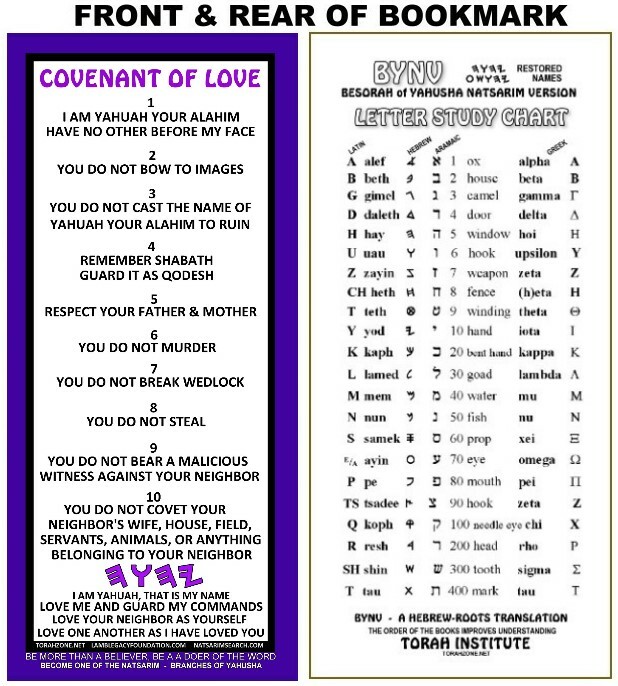 This 3.75” X 8.15” bookmark displays the Ten Commandments under the heading, “Covenant Of Love.” These card-stock quality prints can be used for your doorposts to help train family and friends the Eternal Covenant offered to all who will receive it. The back is a quick-reference guide comparing the Hebrew, Aramaic, Greek, and Latin letters. See Detailed Image for a close-up view.